Hey. I've had a kidney infection before, years ago. Now my kidneys ache, I'm suddenly (as of a couple days ago) nauseous all the time, and apparently I've had many/most of the symptoms of kidney disease for months now and just didn't put the pieces together. I have an appointment for Monday morning to see a doctor at my usual clinic. Am I okay to wait a few more days or is this an emergency room situation? Is there anything I can be doing in the meantime to feel less awful? I hate being that person with a panicky medical question, but I have to stop googling this or I'm going to ACTUALLY have a panic attack, and I'm hoping some of you have direct experience with this and can give me some perspective about what I should do. ER or Urgent Care. Now. A kidney infection is pretty serious and waiting 3 days from now to get it seen is crazy. If it's not an infection or disease, then it's not. Stop worrying about other people slipping on the ice and take care of yourself first. If you damage your kidneys by not getting them checked out, that copay (or deductible I'm assuming you mean) will seem trivial. I would bet your regular PCP has an after-hours answering service you can call and leave a message for the on-call doc. They should call you back pretty promptly and tell you whether or not to head to the ER. They usually err on the side of caution since they aren't seeing you in person. Last time something like this happened to me, it was because I was throwing up blood and the on call doc had me go to the ER just in case. Turned out to be throat lacerations from all the vomiting but since I was uncontrollably, violently sick they gave me an anti-nausea drip and fluids which was very helpful. What about urgent care? Lower back pain and nausea can also be symptoms for UTIs and bladder infections, which many of those walk-in clinics are Walgreens or CVS can also treat. I had a kidney infection years ago. I waited days before I finally ended up in the ER when my roommate found me passed out on the floor in the hallway outside our dorm room and that delay caused quite a bit of unnecessary pain and damage to my body... so I'm pretty much not going to ever be in the "wait til Monday" when there are other options. It is an ER situation, it really is. A friend of mine just nearly died from kidney failure brought on by Rhabdomyolysis, and we had occasion to learn that time is critical in renal disease crises. The point is, with some simple blood work, they will be able to determine if your situation is a crisis. With a previous history, and "all the symptoms of kidney disease", it's a lousy gamble to wait until Monday, when it could be too late to save your renal function if something is seriously wrong. ER to rule out an acute issue. Don't wait. I think it's an ER situation, but if you're looking for a definitive answer, your health insurance provider almost certainly has some sort of ask-a-nurse service that you can call before you go in. Check the back of your membership card. I vote for urgent care. But then I tend to reserve the ER for heart attacks and broken bones. Do you have any urinary symptoms? Burning, trouble urinating, pain when trying to urinate? Do both kidneys ache or just one? It would be a good idea to go to the ER or to Urgent Care, but don't panic about serious kidney disease yet. I've never heard of a kidney infection that didn't involve some truly miserable urinary symptoms - even my kidney stone caused painful urination - and it was stuck in the left ureter, so the other side and the bladder were still working. Get checked - absolutely - but don't panic. Good luck to you. I'd try to go to urgent care. If you are in a lot of pain or high fever - go to the ER. Like you said, you might have an underlying issue that you haven't pinpointed that you want to know about and can be fixed (Maybe you are pregnant!!!!! - although I can't tell you're gender from your post). You probably won't be THAT much worse if you wait until tomorrow and hit up urgent care as soon as it opens. Drink a ton of water. Then drink some more. I wouldn't wait the whole weekend as other posters have said. Urgent care. I speak from experience: I have pretty advanced hereditary kidney disease (PKD) with normal symptoms and the only time I had symptoms as bad as yours was when I had a massive kidney infection that landed me in the hospital for four days. Had I gone to urgent care sooner, I could have treated it at home. If you wanna talk when you get back, memail me. That isn't to say that you do or do not have kidney disease. Just that normal kidney disease symptoms are not as intense as what you describe, in my experience and what I have seen with my family. I am not your doctor. I am not anyone's doctor. Good luck. Does your insurance provide one of those ask-a-nurse lines? This is the perfect opportunity for that. Just had a very similar experience and called the insurance help line. They were great and sent me on to the nearest urgent care. I was told that if you're having strong "flank" pain, you pretty much need to see a doctor immediately. I have chronic kidney issues as a result of a medication I was taking that left me battling rhabdomyolysis, which thelonious mentioned above, and it is indeed very serious! However, the signs include not only flank pain and nausea but dark urine (like the color of coca-cola) as well as severe muscle pain and weakness; when it gets to that point you are very aware there is a serious problem! So DON'T PANIC because if the symptoms have been mild enough for a while that they are just now becoming obvious to you, you have likely not been in that severe a situation, okay? Do you have intense side and/or back pain (on one or both sides)? Is this a sudden stabbing followed by waves of nausea? Are you running a fever? Do you feel pressure, an intense need to urinate and/or burning when you do? Alternatively, once you have urinated, do you feel as if you have not emptied your bladder completely? Is your urine dark or have you had blood appear in your urine? If you can answer yes to several of these questions, got to urgent care or the ER now! You could certainly be dealing with a UTI or a kidney infection (if the pain comes in waves and that is what makes you nauseous, kidney stones might also be indicated and that pain is awful!). If your symptoms are primarily side pain and nausea and that's it (which are bad enough! ), you can probably wait out the weekend. However, if your symptoms intensify, again I'd recommend urgent care or the ER. 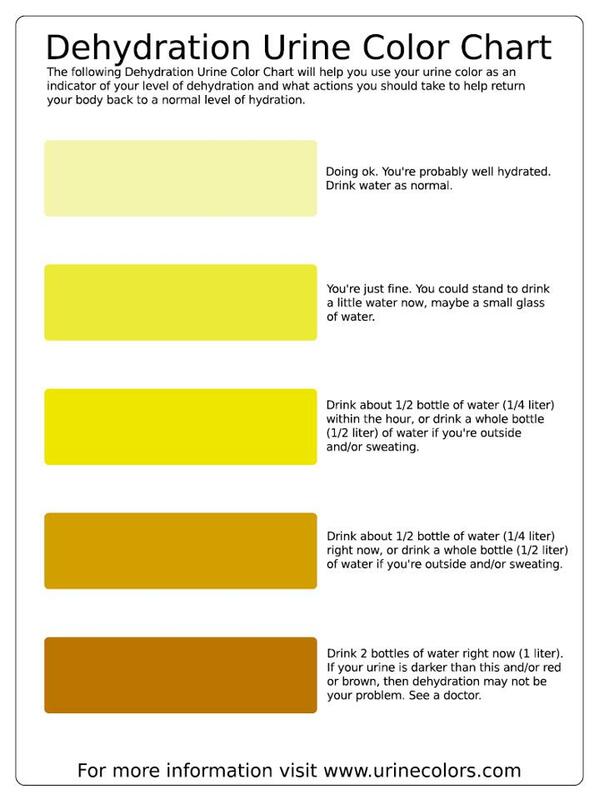 In the meantime, you should be hydrating like crazy and staying away from alcohol and caffeine. Most citrus juice is too acidic and you should avoid that as well, though if it is a burgeoning UTI cranberry juice a often recommended. A heating pad on your lower abdomen or wrapped around your side is often helpful as well. Although OTC anti-inflammatories can help with that side and back pain, only aspirin and acetaminophen are recommended for anyone with suspected mild kidney disease, as NSAIDS are thought to be potentially damaging to kidney function. So I went to urgent care, and they seem to think it's probably viral and not anything I need to worry about at the moment. I feel a little silly, but you guys are right: you don't want to take chances when it comes to your kidneys. Anyway, lots of fluids and staying warm for me I guess! Just as FYI to anyone reading this question in the future, there are actually many people who do experience kidney infections (pyelonephritis) without having experienced the urinary symptoms of cystitis, like burning with urination, beforehand. In fact, that can be how it progresses to pyelo without getting treated, because if they had bad UTI symptoms first they wouldn't have waited so long to get medical help. Other thoughts on this question: going to the doctor and saying "my kidneys hurt" always sounds a little bit weird to a doctor, unless you have some specific experience with definite kidney pain and this feels exactly the same to you. Your flank hurts. There are a number of anatomic structures in the area of your flank that could be causing the pain. The differential for flank pain includes pyelonephritis, kidney stone, musculoskeletal pain, retroperitoneal pathology like trauma or bleed, or abdominal aortic aneurysm (very unlikely in a young otherwise healthy person). As many of the folks answering this question noted, chronic or acute kidney failure do not typically manifest in a painful way - infections and kidney stones are by far the most common reason for flank pain. Many people with chronic kidney disease don't even know they have it because it takes a blood test to diagnose it. I just wanted to note this in case other people with flank pain are panicked and googling "kidney pain" or "symptoms of kidney disease". You can't google yourself to a diagnosis of kidney disease, because at home you have no measurement of your kidney function except how often and how much you pee, and you might pee less due to dehydration even if you don't have kidney failure. Glad to hear you got checked out, OP, and got a benign diagnosis. Get well soon! Definitely go to an urgent care first thing tomorrow. BUT, there are many minor things that can make your flanks hurt like hell. Remind yourself tonight that this could well be nothing. But talk to a doctor tomorrow. And if this keeps getting WORSE? ER, absolutely. Questions you should be prepared to answer when you call your doctor's office (and get the answering service, who will have someone call you), or the insurance co. advice line, or the ER(yeah, you can call them). Are you able to urinate, and is your urine as dark as, or darker than apple juice? How often are you urinating? Where is the pain, how severe? What's your temperature? I'm glad this turned out well. Maybe I am over-sensitized due to my friend's recent experiences, but I have a new respect for kidneys and urine due to that. Oops. That's what I get for not reading all this responses! Well, glad this didn't turn out to be a serious problem.